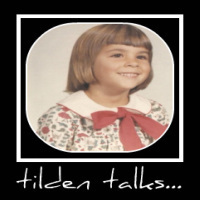 tilden talks...: Have A Great Time At New Hampshire Motor Speedway! Have A Great Time At New Hampshire Motor Speedway! Every year my dad and I make the trip to Loudon, New Hampshire. That's the closest NASCAR track to us. We've been to a couple others, but there are no other racetracks that are on our yearly list. Loudon is just over a mile long, which makes it easy as far as being a spectator. We have never had a bad seat, although we do prefer to sit up high to see the whole course. It's a great little racetrack that is actually a world-class facility. We used to pack for it, but now we let the day dictate. Lots of people bring their coolers but we stopped doing that about five years ago. Now it's grab the tickets, set theHome Security alarm, and head out the door. Whatever we need we'll get on the way. New Hampshire Motor Speedway is a must for New England NASCAR fans. It's pretty cool to be up there and see the kids who are obviously there for the first time. Their eyes are wide and they're basically speechless. I remember being that way! Now I'm not quite as obvious, but I still have a great time. Never been to NH Motor Speedway. But I am a huge NASCAR fan. A visit to this track on a NASCAR weekend is on 'my must go to' list for sometime when I'm back in the area for a visit...Think last time I was in Louden, NH was for the annual motorcyle rally and races that happen every year in June. I was 18 at the time...I'm old. and come up with excellent pieces of writing. This blog belongs to the second type, cheers! Ask Not for Whom the Meme Tags; It Tags for Thee! Book Tee Times on Short Notice? Yes You Can! Halloween Party Games at Your Fingertips!